Online poker revenues in New Jersey and Delaware are headed in opposite directions. While gaming analysts hoped for a strong boost to kick off 2016, the data for the first month of the year highlights the continued struggles for iPoker in the First State. Figures supplied by the Delaware Lottery show the state netted just $26,348 in poker rake and fee online, a 15.3 percent decrease compared to December yet only a 4.86 percent drop year-over-year. Things are better in the neighboring state of New Jersey where online poker totaled $2,151,232 in January. Though that’s a drop of 6.4 percent compared to January 2015, it’s 8.4 percent more than the market generated in December and New Jersey’s fourth consecutive monthly gain. The online gambling industry as a whole is performing extraordinarily well. New Jersey garnered nearly $12.5 million in January from non-poker Internet gambling games, a new record for the state. In Delaware, the $190,829 received was the third highest in the state’s 27-month iGambling history. The online poker rebound in New Jersey is expected to continue as Amaya inches closer to returning PokerStars. Welcoming the world’s largest and most active digital card room back to the United States for the first time since April 2011 is projected to bring a renewed interest in online poker and entice former players back to the digital tables. Through its Party Borgata and WSOP/888 rooms, New Jersey is averaging 360 players on its most recent seven-day average per PokerScout.com. By comparison, Delaware is occupying an average of just 160 seats. With less than a million residents, Delaware is of course considerably smaller than New Jersey’s nearly nine million citizens. However, New Jersey’s online poker market is still 64 times more profitable, and that should only increase when PokerStars opens its doors. The New Year launched with a long weekend that began on Thursday with New Year’s Eve festivities and ran through Sunday, January 3. It allowed tourists to flock to Atlantic City and Delaware’s three land-based casino destinations to ring in the New Year in style. The month began with a bang, but concluded with a wham. 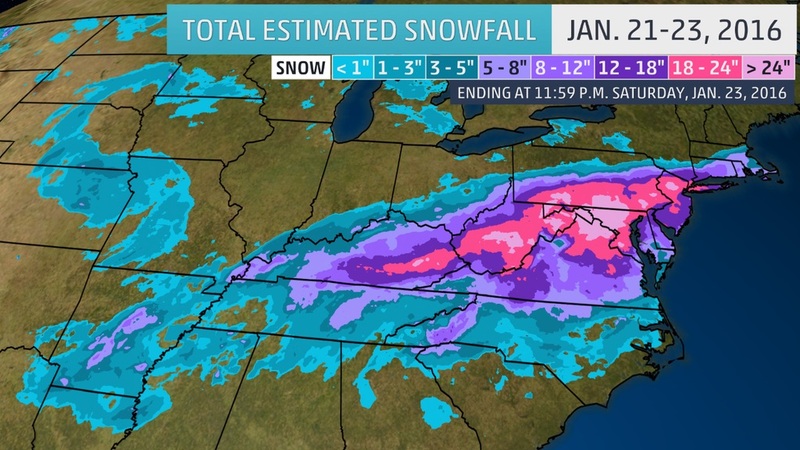 On January 22, Winter Storm Jonas blanketed the Mid-Atlantic and Northeast United States with upwards of 30″ of the white stuff. As expected, the storm negatively impacted gaming revenues at brick-and-mortar casinos. With New Jersey iGambling soaring but iPoker down 6.4 percent, it’s apparent that poker players snowed in didn’t flock online in the same furry as the general gambling population during the storm.